Know more about resin woven fusible interfacing. Resin lining refers to the lining cloth made of plain linen, pure cotton or mixed cotton, chemical fiber, etc. It has good crisp, better sticky, washing resistance, not wrinkle and no bubble and other characteristics. Usually used for shirt collars or areas requiring special uplift. Currently, resin has been directly dipped into the collar, or is replaced by the adhesive lining. There are soft, medium and hard feelings according to different hand feeling and elasticity. The quality of resin lining is usually determined by washing and elasticity performance. Good quality resin lining will not change after washing, and the quality of resin lining is often determined by this method. 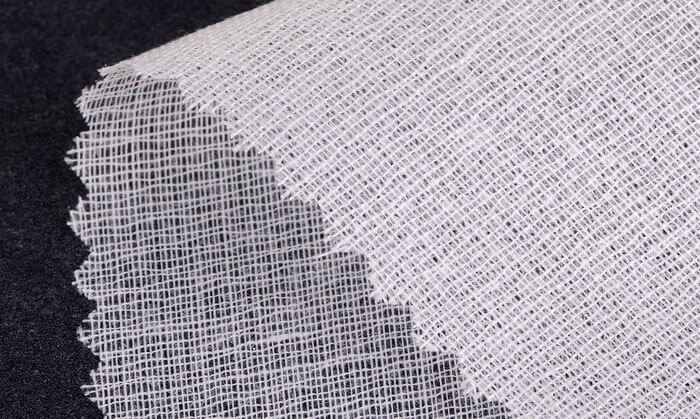 T/C interlining is not as good as pure cotton fusible interfacing, but has its unique advantages, combined with some features of cotton and polyester. Just like cotton shirts are easy to wrinkle and deformation, but the shirt made of T/C does not have these drawbacks. Due to the thermal shrinkage of garment interlining, we must pay attention to the collar lining and fabric shrinkage percentage. Should choose the similar shrinkage rate of collar lining to bond with fabrics.